More protection, less abuse -- that's the idea behind a proposed Consumer Financial Protection Agency. Attorney General, Richard Blumenthal, joined other lawmakers from across the country, and renewed their call for legislation creating a federal Consumer Financial Protection Agency -- CFPA. Blumenthal believes this agency is critical to shielding consumers from financial industry abuses that led to economic crisis in the past. "A new Consumer Financial Protection Agency is a critical cornerstone of financial reform. Our message to Congress: Seize this historic moment. Stand strong against Wall Street lobbyists, " Blumenthal said. "We need a Consumer Financial Protection Agency as a consumer watchdog and guardian to protect against abuses that led to reckless excessive risk taking and consumer deception, bringing our economy to the brink of collapse." 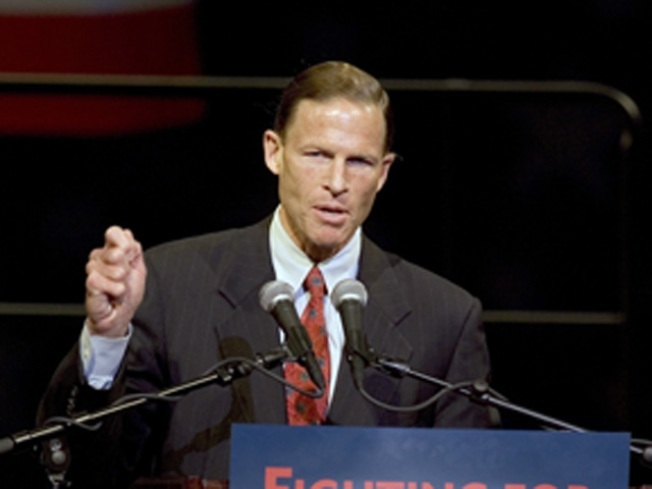 Blumenthal was one of the first officials to call for the creation of the CFPA last year when he testified before the Senate Banking Committee. On Tuesday, he was joined by attorney generals from Iowa, Illinois and Ohio. "The new agency, a consumer financial guardian, promises to be a powerful watchdog and protector, and a partner of state attorneys general in fighting for our citizens. Together with extended state consumer protection authority, the agency marks a giant step toward restoring historic federal-state alliance in combating financial fraud and abuse, " Blumenthal urged. The big obstacle is getting this consumer financial protection measure through the Senate. The creation of this independent agency, long considered a signature piece of the legislation offered by the Obama administration, is facing opposition from republicans on the senate banking commiteee. The ranking republican on the committee, Sen. Richard Shelby, R-Ala, said he wants the regulator who protects consumers to also consider financial firms' health. The Senate Banking Commitee chief, Sen. Christopher Dodd, (D), said Friday that he will push forward with legislation without Republican support. Blumenthal is not mincing words about who's to blame for the financial meltdown. "Significant blame for the recent financial meltdown and the subsequent recession rests directly at the feet of the financial industry, whose reckless and abusive financial practices -- from predatory and subprime lending, to proliferation of dangerous investment vehicles, to exorbitant and exploding interest rates, to hidden terms and fees that banks hope consumer won't notice or fight -- have been allowed to go unchecked over the last 10 years, " Blumenthal said. "To be effective, the new agency must have broad rule-making, investigative, supervisory, and enforcement authority. It must be empowered to investigate abusive consumer mortgages, credit cards and loans, and it must be able to prosecute companies that have misled or cheated consumers...," Blumenthal added. Blumenthal didn't hesitate to take a shot at Wall Street -- urging lawmakers to act now while "Wall Street is returning to its big bonus ways.."
The Senate Banking committee plans to start amending and voting on a final regulatory reform package starting the week of Feb. 22.